Genesis Healthcare Associates (Smyrna) - Book Appointment Online! 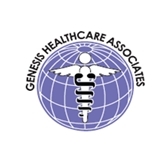 Genesis Healthcare Associates, P.C. was founded in 2006 as part of a vision that Dr. Carla Neal-Haley had for a high touch, family centered care experience. The vision has evolved to bring us to our current reality: Genesis offers an excellent patient experience, combined with high clinical competence provided by a highly engaged healthcare team that is accountable to you and your family. Genesis actively works to make the patient an integral part of their own care. We realize that each patient must be empowered to take charge of their own healthcare. We realize that our healthcare team and each patient we serve must work together to maintain and improve the healthcare condition of every patient.